Sunday Dinners comes to us from our own chef/photojournalist/farmer/father figure Tom Hirschfeld, featuring his stunning photography and Indiana farmhouse family meals. Today: How to make holiday dinner fancy and keep your sanity. Through most of the month of December, I spend a lot of my time preparing recipes that taste great but don’t absorb a lot of my time. It’s the holidays after all, and not only do I want to enjoy them but I have other things to do: trim the tree, make cookies, go to the neighbors' caroling party where they serve the punch that requires a second cup of coffee and a little extra recovery time the next morning. Even so, food-wise it’s pretty much game on from here until next year. Many afternoons are spent making an appetizer or potluck dish to take to someone's house, only to set it on a long table with a red tablecloth, green napkins, and candy canes strewn about, letting it blend in with all the other goodies that others created. While I want my food to be wonderful, and to see the dish I prepared gobbled up in minutes and hear raves about how delicious it is, it really doesn’t matter because the evenings are about sharing good cheer with friends. It’s a month when it is a good time for the foodie in me to let the food become secondary. I have figured myself out over the years and, if I want to enjoy Christmas, it is best for me not to get my undies in a bundle over entertaining -- and I don’t, with the exception of Christmas Eve. The Christmas Eve crowd has grown, the eaters fussier (my mother-in-law) but the night remains intimate. I have gone from the quiet evenings of just Amy and I having lamb chops, to my expanding family, Vivian and Joselyn, at the table having a beautiful roast duck stuffed with apples and chestnuts, served with potato dumplings and braised red cabbage, to having my in-laws over. 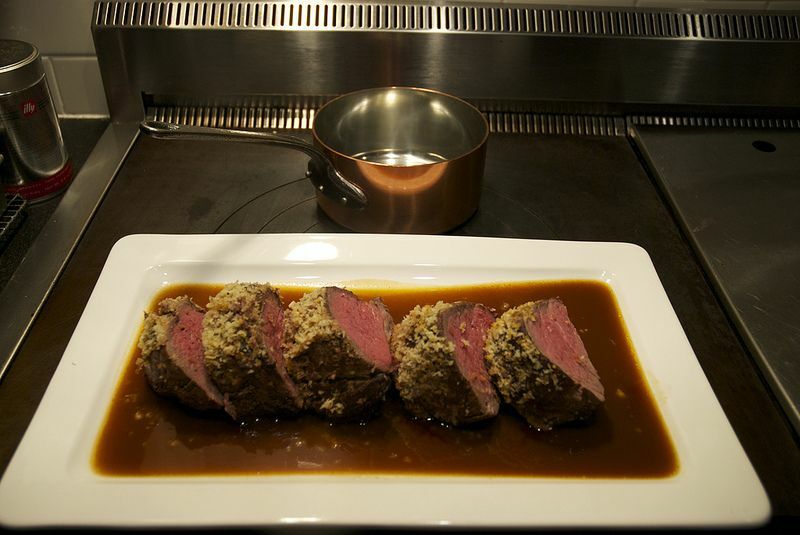 While the dishes have changed (now we have beef tenderloin), one thing hasn’t: I always take the time to make a sauce in the classical French cuisine style, always. Honestly I couldn’t tell you if anyone appreciates it, but I do. So I make it. 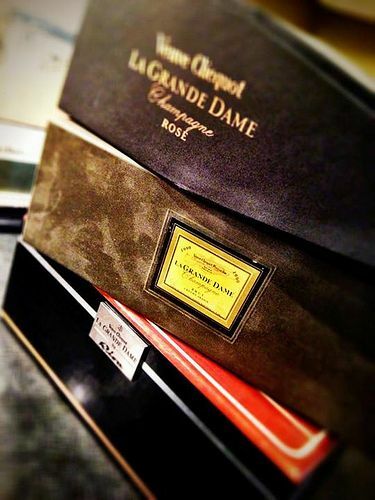 It defines me, it’s what ties me to my past as a chef, it’s the night I wear dress shoes instead of work boots, it’s refined and refined goes well with the La Grande Dame Champagne and when the Madame is present it is always a special occasion. 1. Choose one night during the holidays and make it really special. Use the law of diminishing returns to your favor: one great evening will be remembered far longer than multiple. 2. Be in the moment and enjoy the ones you are with. 3. Cook dishes within your skill set and make sure not to get in over your head. 4. 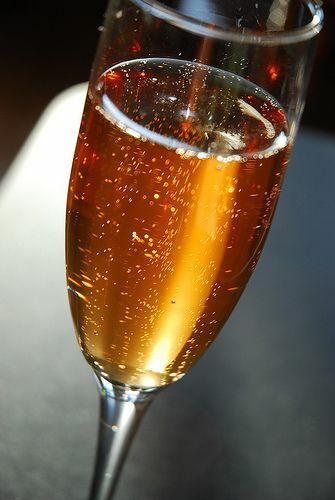 Buy a really nice bottle of Champagne and share it with your guests before dinner, when everyone can really taste it and when it will enliven everyones palates. 5. Buy really fresh ingredients and use them to your advantage. In other words, if you buy quality, you can cook them simply and still have great flavor. Then with a few simple flourishes like flavored butters or vinaigrettes you can finish them right before they go to the table. 6. Many classic sauces can be made well in advance, sauces to stay away from are Hollandaise-based like Bearnaise. 7. Keep serving dishes warm -- just short of untouchable is always good. 8. 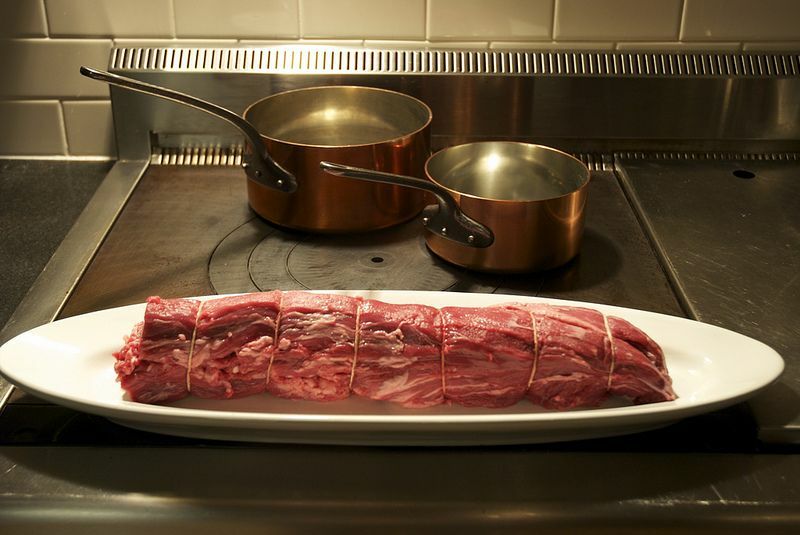 Let the roast rest, and, just before you want to eat plate up the sides, then slice the roast. 9. 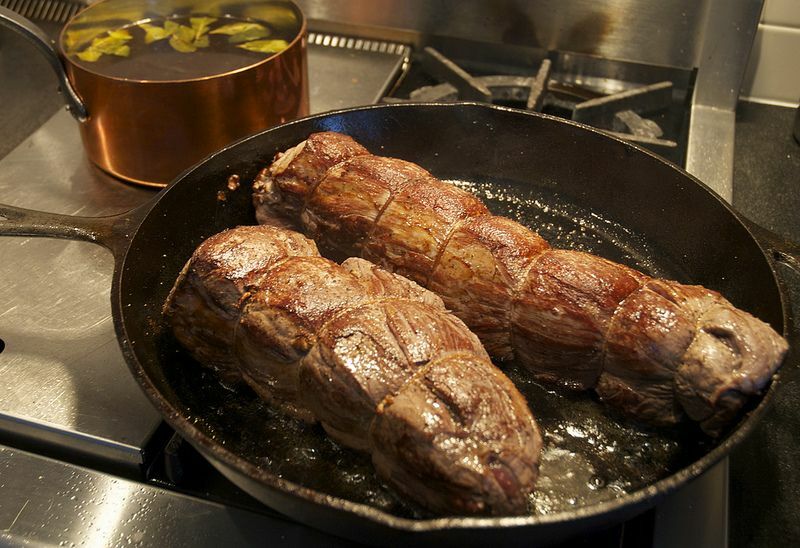 Put the sauce on the plate so you can see the beautiful roast, instead of hiding it under the sauce. 10. Make your guests feel like they are the most important people in the world. Father, husband, writer, photojournalist and not always in that order. So what's the recipe for "the" punch?!? A note to the new cooks who are part of the food52 community and are about to serve their first (or maybe second) BIG holiday dinner... You can do no better than to choose and follow this excellent recipe. It's really not difficult to accomplish, and all your guests will feel so special that you "worked so hard!" thirschfeld has presented us with a true masterpiece. If I hadn't already committed to making Casoulet, I'd be serving it myself. Thanks ChefJune for such wonderful words and you are exactly right in that it isn't hard to accomplish and it does make your guests feel special.